I have personally been excited for over 45 years in the circle of Albuquerque Diamond Jewelers seeing how people react when they receive a diamond. The expression of love and commitment deserves something wonderful and rare to be presented as a gift. Mined Diamonds have always been the go-to for diamond engagement rings in Albuquerque. They are rare, beautiful and ever-lasting. Under tremendous pressure and heat during the formation of our Earth, natural carbon yielded and created real and precious and rare diamonds of varying qualities and colors. There are two ways that labs use to grow diamonds. HPHT diamonds utilize a belt press, the cubic press, and the split-sphere press. All of these processes create an environment of extremely high pressure and temperature conducive to diamond growth. 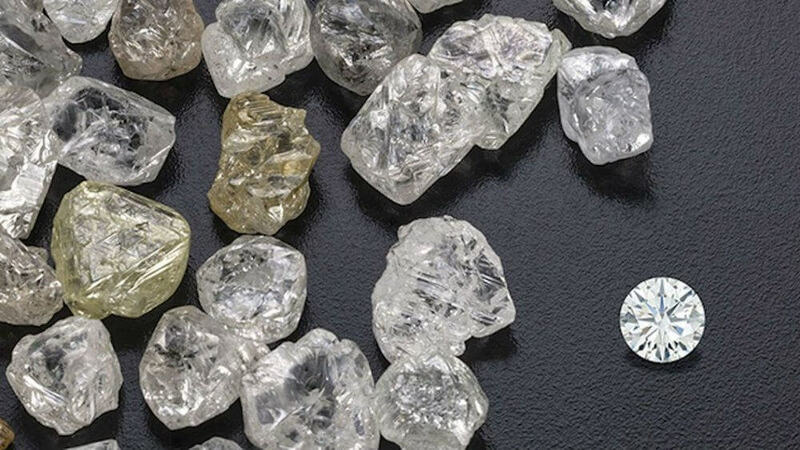 HPHT diamonds begin as a small diamond seed that is placed into carbon. Using one of the three above processes, the seed is then exposed to extremely high temperatures and pressurized. The pure carbon melts and starts to form a diamond around the starter seed. It is then carefully cooled to form a pure carbon diamond. A CVD diamond begins as a thin slice of diamond seed, which is often an HPHT produced diamond. It is placed in a sealed chamber and heated to around 800 degrees Celsius. The chamber is filled with a carbon rich-gas, like Methane, and other gases. They are ionized into plasma using technology similar to that of microwaves or lasers. Now, diamond rings in Albuquerque NM, at Mark Diamond’s Jewelers, there is an option. Lab-grown diamonds are less expensive. They have been created to have their own qualities and colors and of course, cuts that are fabulous. Lab-grown diamonds are certified and graded. At Mark Diamond’s Jewelers, we will only sell lab-grown diamonds which are laser inscribed on the girdle. All of ours will come with its own grading certificate. Remember, please ask questions about the differences. Shop where you are comfortable and welcomed. As I love this wonderful diamond engagement ring business, I hope you with your own real emotions and real feelings, can still link your love to the natural stones that are mined from this Earth.